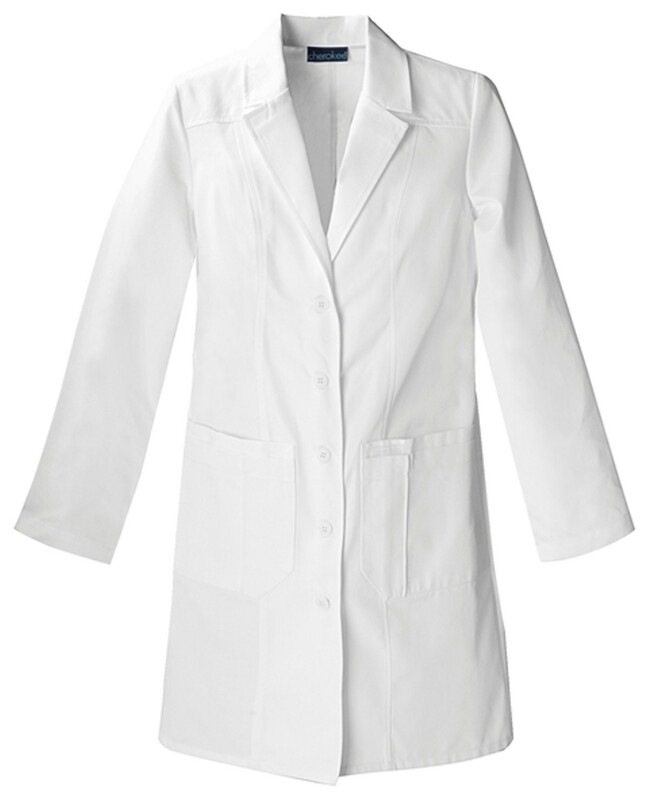 Women's lab coat features a notched lapel, five-button closure, front yokes and two double patch pockets with stitched-down instrument holders. 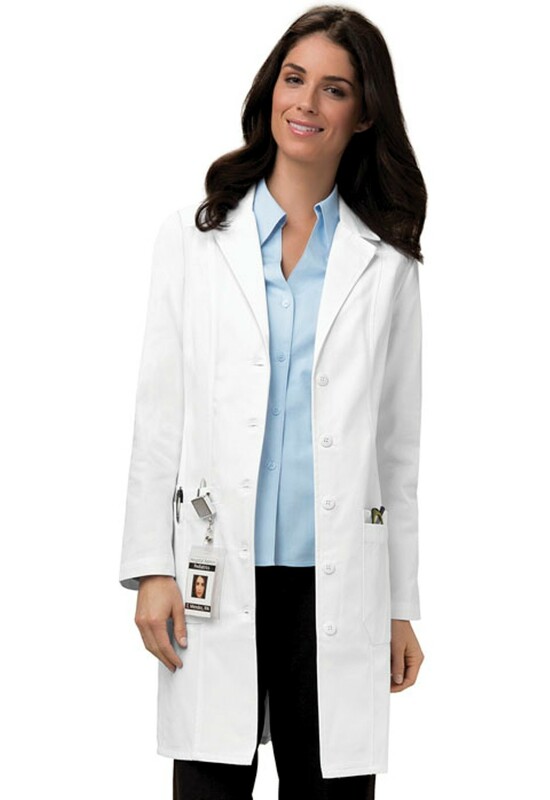 Front and back princess seams, a back vent and adjustable back button tabs provide shaping. Center back length 36"